The Galactic Empire is an interstellar empire featured in Isaac Asimov's Robot, Galactic Empire, and Foundation series. The Empire is spread across the Milky Way galaxy and consists of almost 25 million planets settled exclusively by humans. It had a total population of 500 quintillion. For over 12 millennia the seat of imperial authority was located on the ecumenopolis of Trantor, whose population exceeded 40 billion, until it was sacked in the year 12,328. The official symbol of the empire is the Spaceship-and-Sun. Cleon II was the last Emperor to hold significant authority. The fall of the empire, modelled on the fall of the Roman Empire, is the subject of many of Asimov's novels. Asimov created the fictional Galactic Empire in the early 1940s based upon the Roman Empire, as a proposal to John W. Campbell, after reading Edward Gibbon's The History of the Decline and Fall of the Roman Empire when he was working at the Philadelphia Navy Yard with Robert Heinlein. The concept evolved through short stories and novellas in Astounding Science Fiction magazine during the 1940s, culminating in the publication of the Foundation stories as a trilogy of books in the early 1950s. As of 827 G.E. (Galactic Era, the number of years after its founding), the Galactic Empire comprises millions of inhabited worlds with 500 quadrillion residents. According to the Foundation series chronology established in the late 1990s, it comes into existence approximately 10,000 CE, year one of the Galactic Era. (The establishment of the Empire was originally 34,500 CE, according to Asimov's unofficial unpublished early 1950s chronology.) The Galactic Empire was made possible by the ability of humans to travel through hyperspace. The space navy of the Galactic Empire is called the "Imperial Navy". The empire's capital, named Trantor, is the closest habitable planet to the center of the galaxy, and the novels in the Foundation trilogy describe its fall, over a period of centuries, and a period of anarchy and decay, a parallel to the fall of the Western Roman Empire and the Dark Ages. Asimov posits that two foundations are instituted to restore the empire to its former glory. Through the use of psychohistory, a future science hypothesized by Asimov, a scientist on Trantor named Hari Seldon in about 12,000 Galactic Era predicts the fall of the empire, and institutes the two foundations. The Periphery is a fictional location in Isaac Asimov's Foundation Series and refers to the outer rims of the Galactic Empire, including planets such as Anacreon and Santanni. Imperial control is weakest in the periphery, as planet governors there frequently possess their own fleets. Santanni revolts during Forward the Foundation. About 50 years after the First Foundation is established on Terminus, the emperor will grant the periphery autonomy. This effectively removes them completely from Imperial control, making the dissolution of the Empire far more apparent than it had been before. In the years preceding the fall of Trantor, the periphery became any area outside the empire. As this area became larger the empire became less and less great. As the empire decreased in size and power, the stagnation that would ultimately cause the collapse of the empire increased. Frankenn I Kamble The first Galactic Emperor. Aburanis Introduced the "Law Codes of Aburanis." Kandar V The Earth restoration project which was started in Pebble in the Sky ground to a halt due to his fall and ensuing problems, the Empire instead resorting to transplanting the remaining population to Alpha Centauri. Agis VI Followed by Entun dynasty ca. 11,830 GE. Manowell Entun Nicknamed the "Bloody Emperor." Stannel VI Entun Father of Cleon I. Onum Barr stated that Sivenna prospered in his times. Cleon I Entun Ruled from 11,988 – 12,038 GE. He was the last ruler of a relatively unified and prosperous empire, though its decline was apparent. He was assassinated by one of his gardeners over a promotion the gardener did not want. Interregnum between 12,038 and 12,058 GE. Rule by a military junta. Daluben IV Ruled during the time of the Seldon Trial. Stannell VII Died 104 FE. Ammenetic the Great Mentioned in Foundation and Empire, where Cleon II reminds that his grandfather was merely a pirate, and he now lives "in the luxurious palace of Ammenetic the Great." There is no information to position Ammenetic on the list of Emperors. and to assign him to a dynasty, except for the obvious fact that he must have lived and ruled before Cleon II. Ricker Overthrown by Cleon II's father. Referred to as "the Usurper" by Cleon and his courtiers. Cleon II The last strong Emperor. 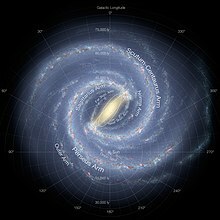 According to the introduction to Foundation and Empire, during his reign the Empire only controlled the inner third of the Milky Way galaxy - which nonetheless meant it still controlled three quarters of the galaxy's population and wealth. Many on Trantor itself failed to even notice the decline of the Empire as a result, paying little heed to the loss of the backwaters in the Periphery. Dagobert VIII Final ruler of the Galactic Empire. Fled Trantor during the Great Sack by the rebel Gilmer. Dagobert IX Resided on Neotrantor following the Great Sack of Trantor. At least one more Emperor presumably succeeded him, since the dynasty was stated to have survived for a century after the Sack. Bondanella (listed in Further reading) analyzes Asimov's Galactic Empire as an example of the influence of the myth and history of the Roman Empire upon modern fiction. Asimov himself wrote two non-fiction books on the subject of the Roman Empire, aimed at the mass market and young readerships, The Roman Republic in 1966 and The Roman Empire in 1967, reflecting the positive view of the Roman Empire that then prevailed, as it was considered the prototype of the rising American Empire. After the cinematic release of the first Star Wars trilogy, another parallel to the Roman Empire that presents the negative view of the empire that became widely prevalent in late 20th and early 21st century popular culture as a result of the negative view of the American Empire resulting from the Vietnam War, Asimov revisited his Galactic Empire and wrote further novels in the Foundation series. Other writers to have been influenced by the Roman Empire include, of course, those who have written novels set in Asimov's universe of the Galactic Empire, such as David Brin's Foundation's Triumph, and Robert Silverberg, who wrote of an alternative universe in which the Roman Empire never fell, and who edited Far Horizons (listed in Further reading) which contains several examples of Asimov's influence upon science fiction. Brian Herbert's and Kevin J. Anderson's Dune: House Atriedes (1999) is, similarly, a Greek parallel to ancient Rome. Other works to have been influenced by Asimov's Empire include Donald Kingsbury's Psychohistorical Crisis, whose galactic empire, and the scholar-empire that succeeds it, are clearly based upon Asimov's Galactic Empire and the Foundations, albeit that Kingsbury was not granted permission to set his work directly in Asimov's universe. Seed calls this work "perhaps the most remarkable homage that any SF writer has received from another SF writer". Asimov's Galactic Empire, its decline, fall, and rebirth, in particular, is characterized by Perelman as a simple repetition of the history of Western Civilization from the fall of the Roman Empire to the 20th century, borrowing freely from Toynbee, and a validation of postwar American culture of the 1940s and 1950s, with the Second Galactic Empire being "definitely suburban". Other writers to explore the cycles of civilisations in their works include James Blish, who studied the works of Oswald Spengler and whose novels Cities in Flight, They Shall Have Stars, A Life for the Stars, Earthman Come Home, and The Triumph of Time portray the rise and fall of the galaxy as an inevitable cycle, of which (unlike in other dystopian SF stories of the 1940s and 1950s) the use of machine technology is merely a symptom not the actual cause, and culminate, as in Wollheim's eighth stage, with the end of the universe and the birth of a new one. Colin Manlove characterizes Asimov's description of the Galactic Empire, its people, its culture, its history, and its planets, laid out in the Foundation novels as an aesthetic monotony: "persons are usually seen as typical rather than special, even as clichés … the mutant Mule […] is not given a personality, he is merely a powerful anomaly … Nor do we hear much of landscapes, apart from Trantor and one sea-scape … we do not know how one planet differs from another, as, say, Ursula K. Le Guin differentiates the desert Anarres from the lush twin Urras … Nor are we given details of battles, lingering accounts of love, different customs of civilisations. There are no animals, only man. … Thought-processes and conversations largely fill the trilogy, and nearly all these are confined to finding things out and with gaining power." ^ Foundation Trilogy, p. 7. ^ Foundation Trilogy, p. 12. ^ Foundation Trilogy, p. 20. ^ Neil Goble (1972). Asimov Analyzed. Mirage. pp. 32–34. ^ a b c Gary Raham (2004). Teaching Science Fact With Science Fiction. Libraries Unlimited. pp. 27, 96–97. ISBN 1-56308-939-4. ^ Asimov, Isaac (1950). "14". Pebble in the Sky. Doubleday. ^ Isaac Asimov worked at the Philadelphia Navy Yard during World War II when he began writing the Foundation series, having been recruited to work there by Robert Heinlein. ^ Nikos Prantzos (2000). Our Cosmic Future: Humanity's Fate in the Universe. Cambridge University Press. p. 151. ISBN 0-521-77098-X. ^ Historically, "Agis" was the name of several Kings of ancient Sparta. Asimov does not provide a plausible explanation how, when Earth was held in contempt and its pre-space history virtually unknown, this could have become a popular name for Galactic Emperors. ^ Edward James (1999). "Per ardua ad astra: Authorial Choice and the Narrative of Interstellar Travel". In Jaś Elsner; Joan-Pau Rubiés. Voyages and Visions: Towards a Cultural History of Travel. Reaktion Books. ISBN 1-86189-020-6. ^ Martin M. Winkler (2001). Classical Myth and Culture in the Cinema. Oxford University Press. p. 273. ISBN 0-19-513003-0. ^ David Seed (2005). "Isaac Asimov". A Companion to Science Fiction. Blackwell Publishing. p. 371. ISBN 1-4051-1218-2. ^ Les Perelman (1990). "Science Fiction Novels and Film". In Susan Gushee O'Malley; Robert C. Rosen; Leonard Vogt. Politics of Education: Essays from Radical Teacher. SUNY Press. p. 172. ISBN 0-7914-0355-6. ^ Milton T. Wolf (1997). Shaw and Science Fiction. Penn State Press. p. 83. ISBN 0-271-01681-7. ^ Colin Nicholas Manlove (1986). Science Fiction: Ten Explorations. Kent State University. pp. 28–29. ISBN 0-87338-326-5. ^ Adam Charles Roberts (2000). Science Fiction. Routledge. p. 77. ISBN 0-415-19204-8. Peter Bondanella (October 1987). The Eternal City: Roman Images in the Modern World. Univ of North Carolina Press. ISBN 978-0-8078-1740-7. Robert Silverberg, ed. (1999). Far Horizons: All New Tales from the Greatest Worlds of Science Fiction. New York: Avon Eos. ISBN 0-06-081712-7. Damon Knight (1956). "Asimov and Empire". In Search of Wonder: Essays on Modern Science Fiction. Advent Publishers. Donald A. Wollheim (1971). "The Decline and Fall of the Galactic Empire". The Universe Makers: Science Fiction Today. Harper & Row. Oliver Morton (1999-05-17). "In Pursuit of Infinity". The New Yorker. pp. 84–89. This page was last edited on 5 March 2019, at 01:16 (UTC).